Rantan has a wonderful collection of Australian bush songs, ballads and country music – from Click Go the Shears to Waltzing Matilda – along with the best of Lee Kernaghan, Col Buchanan, John Williamson, Slim Dusty, etc. 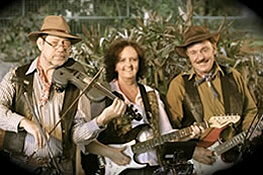 Australian songs are the band’s specialty and this makes Rantan a perfect band for Aussie and country theme shows, particularly at trade fairs and conventions … more Aussie than a meat pie! Along with a good selection of line dance music (like Achy Breaky and Bootscootin’ Boogie), Rantan also plays all the great dance craze songs like the Macarena, Nutbush, Bus Stop, 5,6,7,8, The Twist, Limbo or Chicken Dance … just about every party dance you can think of … Are you feeling hot, hot, hot? 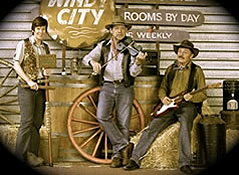 In addition to our Aussie country songs, the band has a solid selection of other country favourites from Kenny Rogers, John Denver, Brooks & Dunn, Glenn Campbell and other country greats. Perfect for any show with a country or Wild West theme. Definitely a show for putting on your country gear … Thank God I’m a country boy! For those wanting a mixed dance (or 60/40 format), Rantan has a great repertoire of ’60s, ’70s and ’80s rock ‘n’ roll and pop including songs from Elvis, the Beatles, Creedence, The Eagles, Cold Chisel, Chuck Berry, et al. Great numbers like Greased Lightning, YMCA, Old Time Rock ‘n’ Roll, Brown Eyed Girl, Working Class Man, and Time Warp … It’s gotta be rock ‘n’ roll music, if you wanna dance with me! RANTAN BUSH BAND offers a remarkable variety of songs and dance music to compliment almost any function and the band’s versatile repertoire makes it a favourite with all age groups. See a larger list of our songs here.